We don't normally preview books. 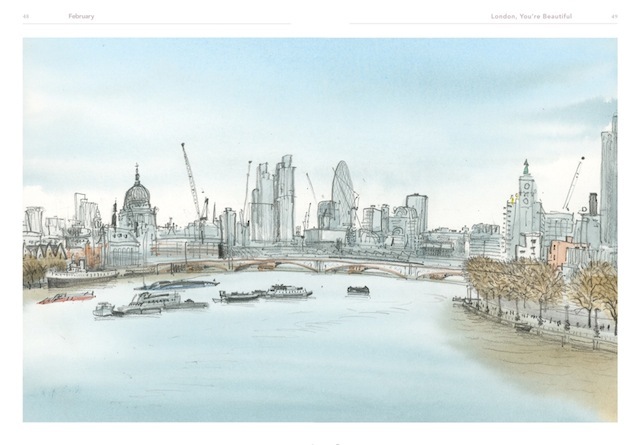 But the news that David Gentleman has a new volume of London illustrations imminent is worthy of a few words. Gentleman's been sketching London for decades. You've surely seen his handiwork if you've passed through Charing Cross Tube station. The platform-length murals that show the construction of the medieval landmark were designed by him in 1978. His previous book of London illustrations is one of our most treasured tomes about the capital. The new collection brings to life the city he's lived in for 60 years, with 400 pages of London loveliness. It's out from Penguin on 3 May, but here's a short interview with the author to whet your appetite.